On April 19, 2010 OWASP released the final version of the world renowned Top 10 list. While the updates are not a surprise given the lengthy discussions and feedback that this updated list received it will have an impact on organizations worldwide. In the world of payment card transaction security the standard directly states under section 6.5 to rely upon the current version of OWASP Top 10 for meeting the web application safeguards requirement. Beyond PCI DSS there are other industry standards and organization practices that rely upon baselines, such as OWASP, to focus security efforts. …to ensure these risks are incorporated and operate effectively. Please visit OWASP to take find more tools and great discussions on web application security. Contributors are always welcome and there are chapters around the world. This month (March 2010) Visa Europe released a full guidance document on Data Field Encryption: Device and Key Management Guidance. This relates directly to “end-to-end” encryption, “point-to-point” encryption or “account data” encryption and the process of securing transaction data in transit and in storage. This has been a critical focus of the payment card community. A nice article highlighting the benefits of this guidance document and endorsements by major organizations in Europe can be found here. Simply put though, the guidance provides 71 pages of excellent specific data on what these technologies should be doing at minimum. This provides operators and auditors with a tool to compare equally the unique solutions being deployed globally, and a common baseline of control safeguards. The full guidance document may be downloaded here. A direct link to the PDF is here. Please note this is focused on Visa Europe. Thoughts and concerns with this guidance and / or the technology? Heartland Payment Systems: Lessons Learned from a Data Breach (Published as a discussion paper, by the Federal Reserve Bank of Philadelphia). In this discussion paper, Senior Industry Specialist Julia Cheney summarizes a workshop hosted by the Payment Cards Center on August 13, 2009. The workshop examined the changing nature of data security in consumer electronic payments. The center invited the chairman and CEO of Heartland Payment Systems (HPS), Robert Carr, to lead this discussion and to share his experiences stemming from the data breach at his company in late 2008 and, as important, to discuss lessons learned as a result of this event. Mr. Carr, CEO of Heartland Payment Systems (who suffered a data breach over many months and exposed nearly 100 million accounts in 2008 is also a highly successful processor), highlight the need to disclose the methods and techniques employed during successful attacks (internally to the QSA / PCI / Auditors and externally to other financial institutions). While my preference for disclosure may be broader to include the merchants and other parties, as this information can be communicated without exposing competitive information. These attack details can be used to pragmatically improve by the PCI DSS and in-operation business environments. The lack of such intelligence only makes an attack cheaper for the attackers, as they can reuse code and techniques. Do not underestimate the insider threat – I agree with this, but beyond his focus on internal employees inadvertently creating risks. Insider threats can be machines that they themselves have been compromised and are untrusted. These beachhead systems in less restrictive environments are able to easily capture data in transit, and seek out the data at rest. Therefore all systems connected within an “open” network must be considered untrusted, and has been the running definition under PCI DSS. Ensure the appropriate audit scope – ABSOLUTELY, this is a must and falls on both management and the auditors on hand. The audits are a demonstration of management’s control environments. So, it is in the interest of both parties to be open and honest with each other. Cooperation and not opposition is the only meaningful way to evaluate and improve business operations. In House Security – I agree that top-level oversight is needed. The remainder of the paper provides a nice overview of 3 payment card solutions for data in motion security – End to End Encryption, Tokenization, and Chip Technology. I won’t elaborate here, but certainly worthy reading for a summary explanation of each. I agree with Heartland’s approach of proactiveness, and hope it will lead to similar efforts that raise the entire security baseline within the payment card security space. It is important to highlight though the need for full security – security only in one section of a network is reckless if there is not physical separation both in staff and systems. Good security and the resulting compliance is achievable, and as Mr. Carr highlights it can be good for business. Here is a link to the group Mr. Carr referred to in the article. Also, a big thank you to the Federal Reserve and Heartland for putting this article online – link to Federal Reserve and direct link to PDF. How to choose a PCI DSS QSA Auditor!! Don’t choose the lowest bidder when you are seeking the best QSA to do your onsite PCI DSS audit. 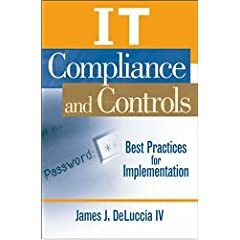 This is not an article to inflate the costs of validating your compliance program, but instead intended to LOWER the cost of the PCI onsite audit. Selecting a QSA auditor should be done in partnership with the Internal Audit team, the Technology leadership, and the Relationship manager (or person charged with ‘owning’ the payment transactions within the business). Require a breakdown of how they will handle prior QSA work. Will they use it; will they accept it; what will cause prior work to be considered non-compliant? Please consider these practices along with your existing mature vendor vetting process. Today is Day 2 of the PCI DSS training here in Atlanta, so I will add any additional insights as they come up.